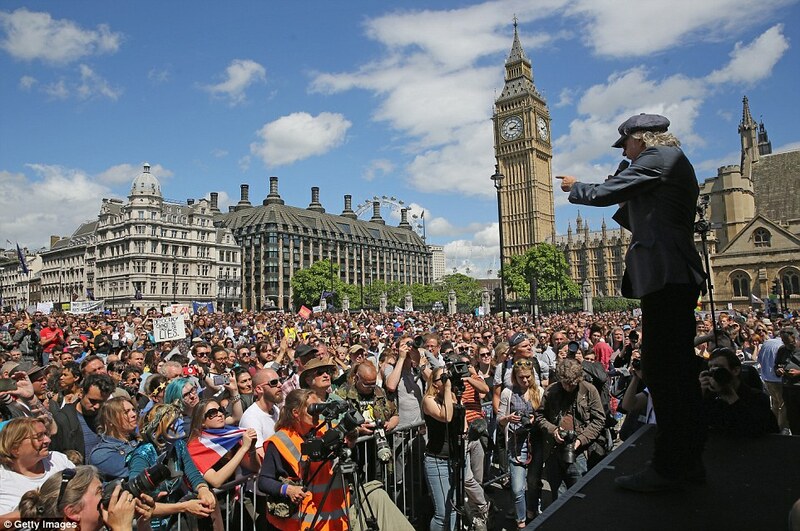 London, United Kingdom: Another weekend of angry mass protests broke out in the light of a recent vote that has left citizens beleaguered, desperate and literally begging those in authority to overturn the result. The sudden and unexpected uprising of people, both young and old, demanding the immediate overturning of the voting result and a second ballot to take place brought traffic to a standstill in the cosmopolitan capital. Pope Francis maintains that the first ballot stands. There will be no second vote. The mass protests have taken the authorities by surprise, with Londoners demanding that the ballot of 13 March 2013 that voted in the heir apparent and chief nominee of the 'St Gallen Mafia', relativist and authoritarian Peronist, Jorge Bergoglio as Pope be overturned. Some protesters were more fierce in their criticism of the result with their words expressing palpable anger. Some even openly questioned whether people who voted for Bergoglio should be entitled to have a vote. The Cardinals of the Church are stung by such criticism. It is true that by an overwhelming margin, the participants in the conclave that voted in, on a 52/48 percentage, the ultra-modernist Jorge Bergoglio were, for the main part, over 60 years of age. Therefore, the charge that the old have robbed the young of an eternal future has some traction in Rome, where the mass protests have been observed with great concern. "We would be wise to heed the voice of the younger generation crying out for those in authority to teach the Catholic Faith whole and entire. When it is not, they are justified in their anger that the teachings which will lead them to the Eternal Life - their rightful inheritance - are not being given to them and we must listen to their heartfelt cry. We can apologise to the whole world if we want, but ultimately it is to Jesus Christ Himself, that we Cardinals shall have to give an answer. For these souls, yes, we shall have to answer." Bravo, Bones! The voters were mis-informed. Time for a redo of 2013! Recall this 12 March 2013 news article in The Guardian regarding the unexpected 'misfortune' of top contender for the papacy, Angelo Cardinal Scola, the day before Begolio appeared with Daneels on the papal balcony and the god of surprises first showed his face(s). So anticipated was Scola's election that the Italian Bishops' Conference publicly announced it and then retracted it. 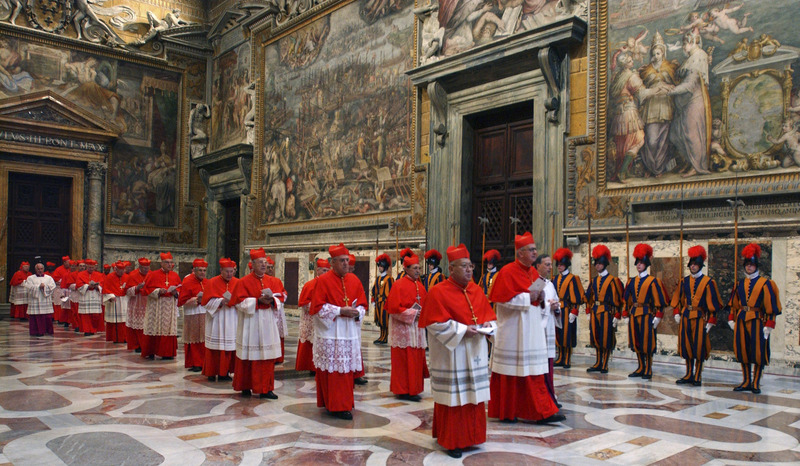 As the god of surprises would have it, the tip upon which the anti-mafia police acted was incorrect but the cardinals knew of the explosice charge while entering the conclave. Reconvene the conclave. Scola for Pope! The devil's greatest trick is fooling folks that he doesn't exist, said the French poet. The Novus Ordo's greatest trick is fooling people that Catholicism doesn't exist. David Icke talks about the "problem reaction solution" mechanism that power structures use to ensure that they get through what they need and want to get through. I've never believed that the UK, or any other country, would leave the EU. And I don't think this "leave" vote matters one jot. @Andrew. "Problem-reaction-solution" is a political formula taught in Universities in your first year of 'Popliteal Studies'. David Icke is an 'interesting' public figure, but has about as much to do with Catholicism as VII-Roncalli through Bergoglio.